A new law designed to keep West Virginians safe around boating docks and marinas was originally supposed to go into effect August 1, 2014, but has been delayed until January 1, 2015. The Michael Cunningham Act was passed last year, after a Bridgeport teenager was killed as a result of Electric Shock Drowning. Amy Cunningham’s memory of May 29, 2010 is still a blur. That morning she and her 15-year-old son Michael enjoyed goofing around while shopping for sunglasses. He was planning a trip down to Stonewall Resort with a friend. 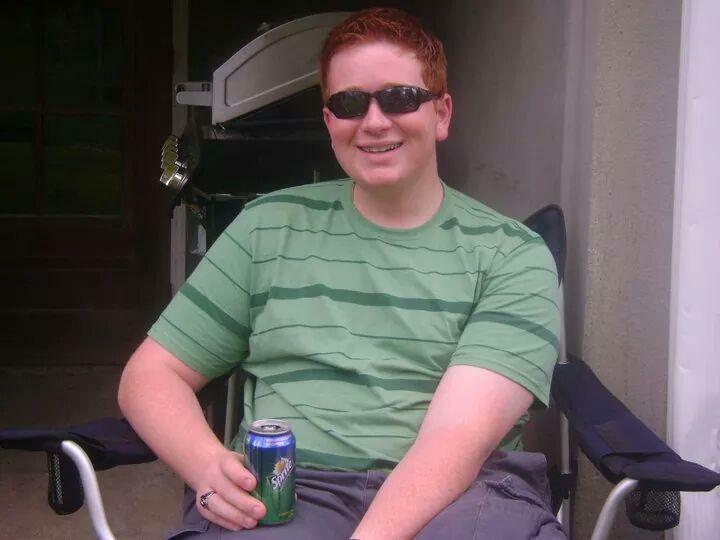 As he got ready to leave, Cunningham nagged the redhead to be sure and wear his sunscreen. A bad sunburn was the worst thing she feared would happen to him. A couple of hours later she received an urgent call. Michael had been swimming near a houseboat at the resort’s marina and was missing. She rushed to the marina and waited for hours before Michael was found. Then, there was the trip to the local hospital to see his body. Four years later, she’s still grieving. Michael died from a little-known phenomenon called electric shock drowning. It happens when electric current passes through fresh water and strikes a person, either electrocuting him or paralyzing him and causing him to drown. In Michael’s case, current from the dock had leaked into the water around the houseboat where he was swimming -- when he grabbed the boat’s ladder to climb up, he was electrocuted. The autopsy showed no water in his lungs, meaning he died instantly. The events of that day drove Amy Cunningham and her family to push for safety legislation that would eventually bear her son’s name. 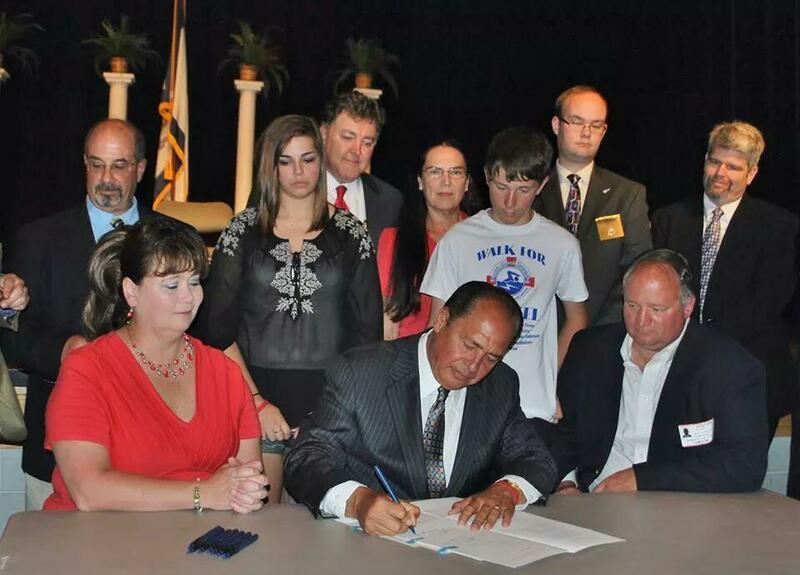 Amy and Kevin Cunningham sit on either side of Governor Earl Ray Tomblin as he signs the Michael Cunningham Act. Legislators (including House Speaker Tim Miley, back center with red tie) and supporters look on. Standing directly behind the Governor are Michael's best friend Hallie Kittle (who was with him at the marina) and his brother Ben. It’s unclear how many people die each year from electric shock drowning. It’s often not recognized as the cause of a drowning death. Before it happened to Michael, Cunningham had never heard of the phenomenon. She says she runs into people all the time who have never heard of it … including West Virginia House Speaker Tim Miley. Miley says the information the Cunninghams shared with him, along with his own research, convinced him to spearhead the Michael Cunningham Act. It applies to boat docks or marinas that are leased out or made available to the public for a fee – and are connected to electricity. Those marinas have to hire properly licensed electricians to install emergency shut-off devices for electric circuits. The legislation also mandates inspections – once before the law takes effect and again every three years after that. In addition marinas have to install signs warning of the electric shock risk and prohibiting swimming within 100 yards of the dock. Miley is proud that West Virginia is in the forefront of states that have adopted laws to address the issue. One Morgantown area marina owner says her husband is meeting with electric contractors to get an idea of cost, which is a concern. She says only one of their docks has electric service and they’ll do a cost-benefit analysis to decide whether to continue offering it. But, she says the marina already prohibits swimming or fishing from the docks, and adding warning signs is no problem. Originally, those signs would have to have been up by now, but there’s been a delay. Speaker Miley and the State Fire Marshal’s office say the new law won’t kick in until January first to allow more time to clarify the requirements and train electrical inspectors. Miley says he conferred with the Cunningham family before agreeing to support the delay. Amy Cunningham says, beyond the legislation itself, her ongoing mission is to raise awareness about the dangers of Electric Shock Drowning. For more information about Electric Shock Drowning, visit the Electric Shock Drowning Prevention Association.